Add a personal touch to your stationery, crafts, books and more! Personalization will appear exactly as entered and is upper/lower case specific. 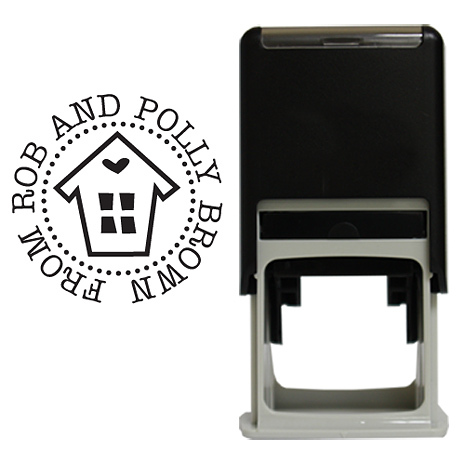 This house stamp includes a black ink cartridge that produces thousands of impressions. Imprint diameter is approximately 1 3/4"